Thirty members of the Ukrainian delegation at the UN Climate Change Conference in Copenhagen have unexpectedly vanished without a trace. The incident effectively continues the theme that the conference is a PR disaster for the Eastern European nation. Indeed, the whole Copenhagen conference increasingly looks to be exclusively about Ukraine. On the second day of the climate change conference, Ukraine was awarded the “Fossil of the Day” mock award by a website of the same name – and not just once, but twice. Now, on the fourth day of the conference, it turns out that, of the 33 declared members of Ukrainian delegation, only three have been showing up at the conference’s events. The rest – members of Ukraine’s Ministry of Environmental Protection, National Ecological Investment Agency and the Environmental Commission of Ukraine’s Parliament – are nowhere to be found. “No one has seen them and no one is able to find them. 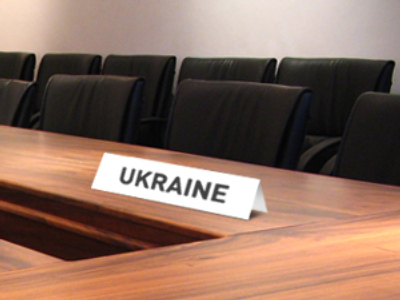 During the events, tables reserved under the name plate ‘Ukraine’ are empty,” coordinator of Ukraine’s National Ecology Centre Cristina Rudnitskaya told Kommersant-Ukraine.